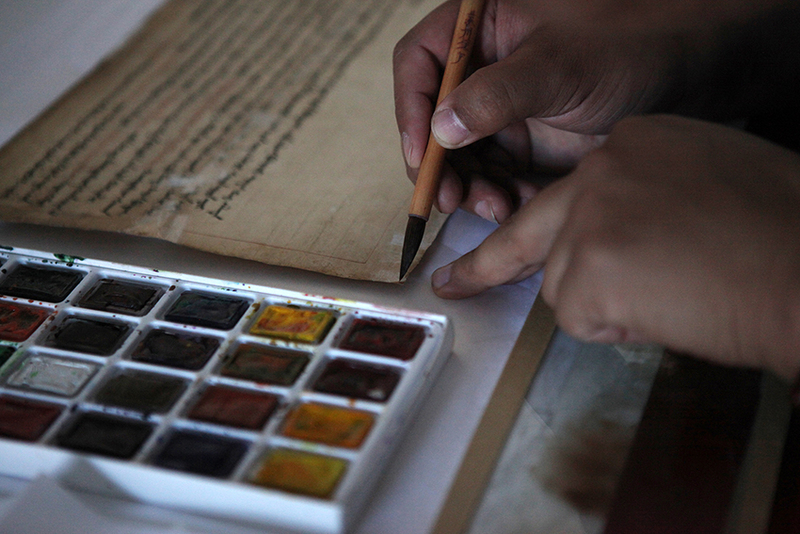 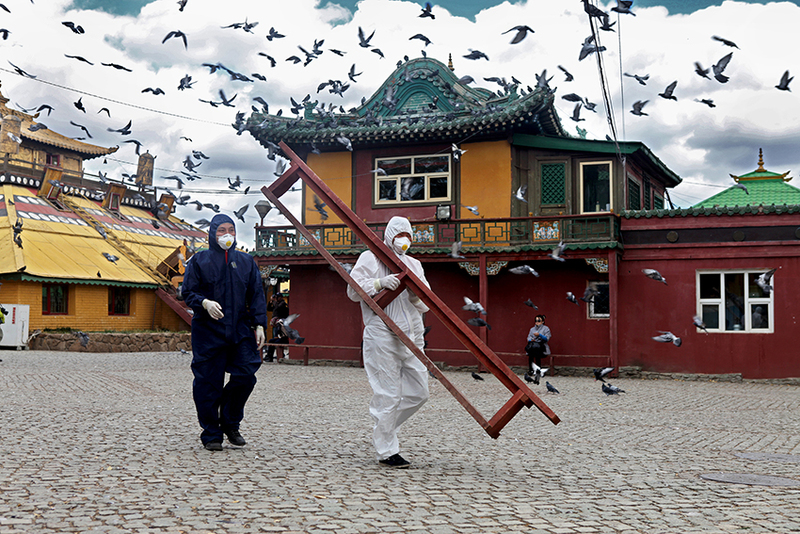 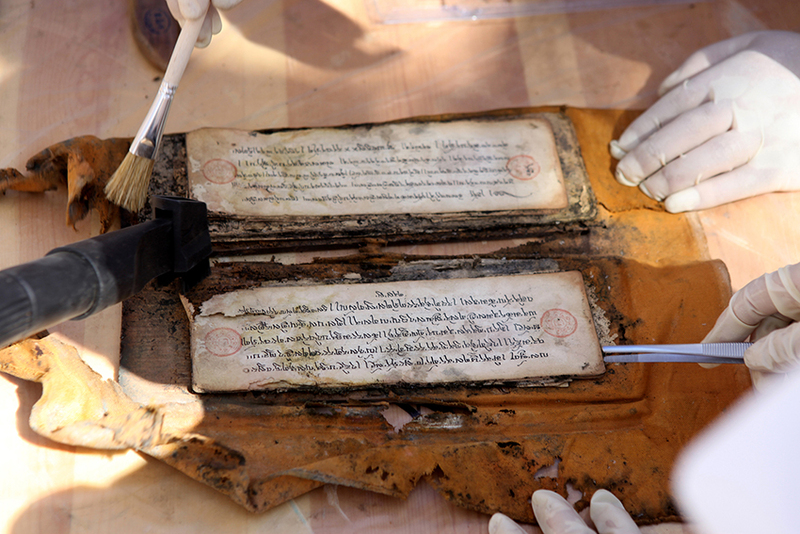 Since 2009 the Goethe Institute collaborates with UNESCO to implement a paper restoration project at Gandan Monastery in the Mongolian capital Ulaanbaatar. 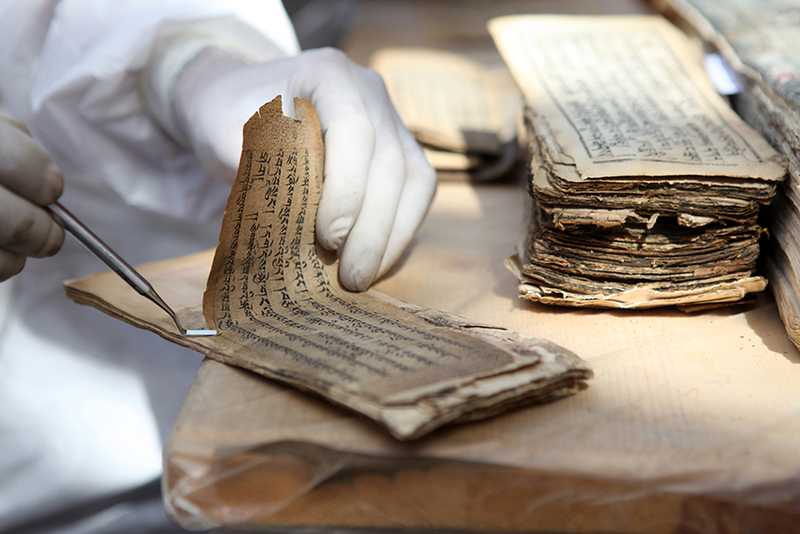 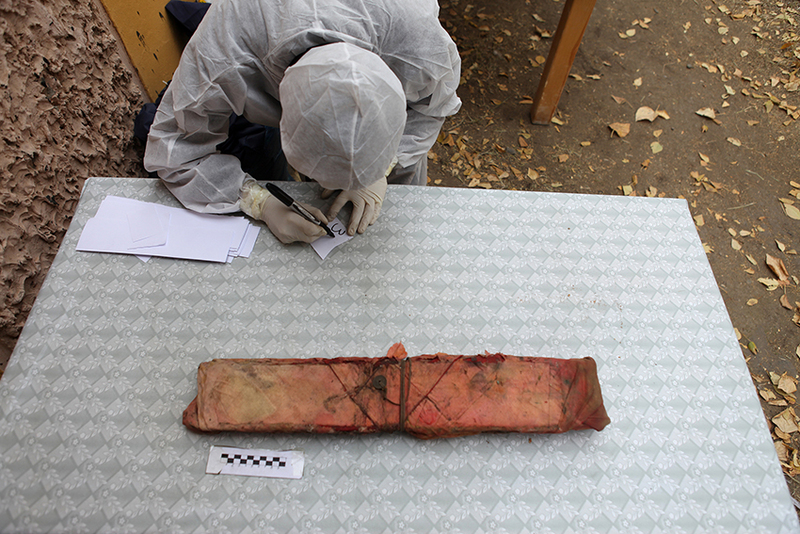 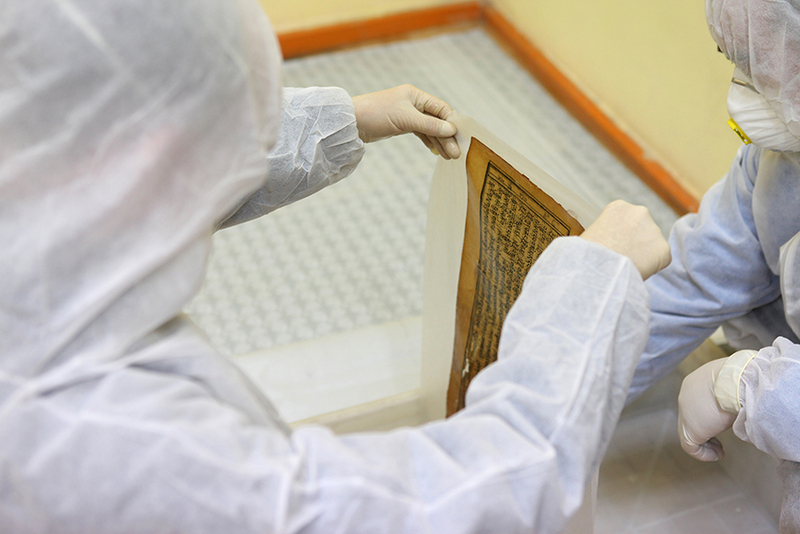 Old religious scripts are carefully cleaned and restored to keep them for future generations. 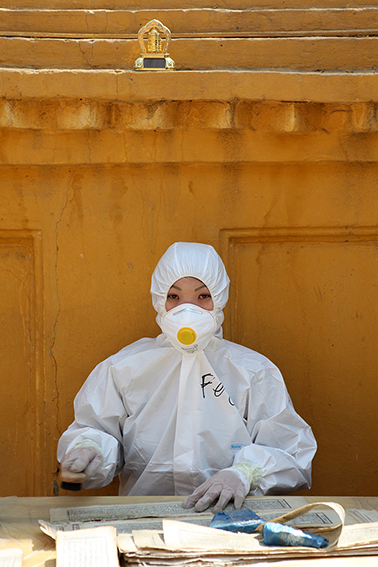 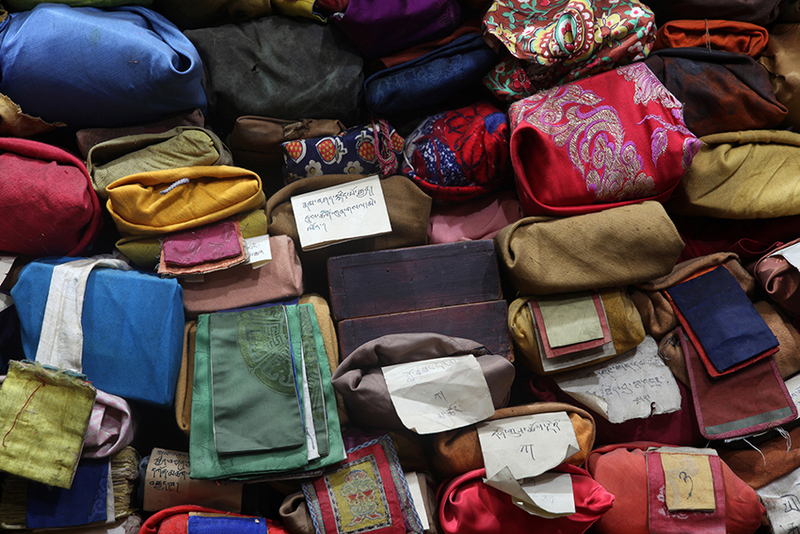 Monks and librarians are trained to preserve this cultural heritage.